About | Interactive Blog, Hiring more women and minorities in games. 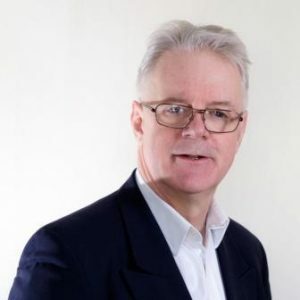 David Smith is MD of global games executive search specialist Interactive Selection which he founded in 1996. At the time he moved away from the standard practice of a recruiter paying to advertise its services to the revolutionary concept of relying on its reputation being spread by word of mouth. In 2012 David wrote the world’s first Best Practice Guide for Recruitment and Selection in the games industry which was published by UK games trade association, TIGA. In 2015 David was awarded Honorary Fellowship of the Institute of Recruitment Professionals (IRP) in the UK. There are about 100000 working in UK recruitment and we understand that under 20 have been given this honour. In 2009 David founded Women in Games WIGJ, a professional network that is based in the UK but reaching out globally. The network works to recruit, retain and support the progression of women in the games industry by positively and actively promoting female role models and giving encouragement and information to those women seeking to work in games. In the UK as few as 14% or 1 in 8 of game developers are women and WIGJ is seeking to do what it can to address the gender imbalance with over 5000 supporters on LinkedIn with 1000 from the UK but also 2000 from the USA and 500 from Canada. WIGJ was incorporated as a “not for profit” or Community Interest Company in 2011. It receives no external funding and is dependent on volunteers and sponsors to fulfil its brief. David is one of the most connected people in the computer games industry on Linked In.